This spectacular crib was custom designed by Wilson for Kelli Joyner of Atlanta. 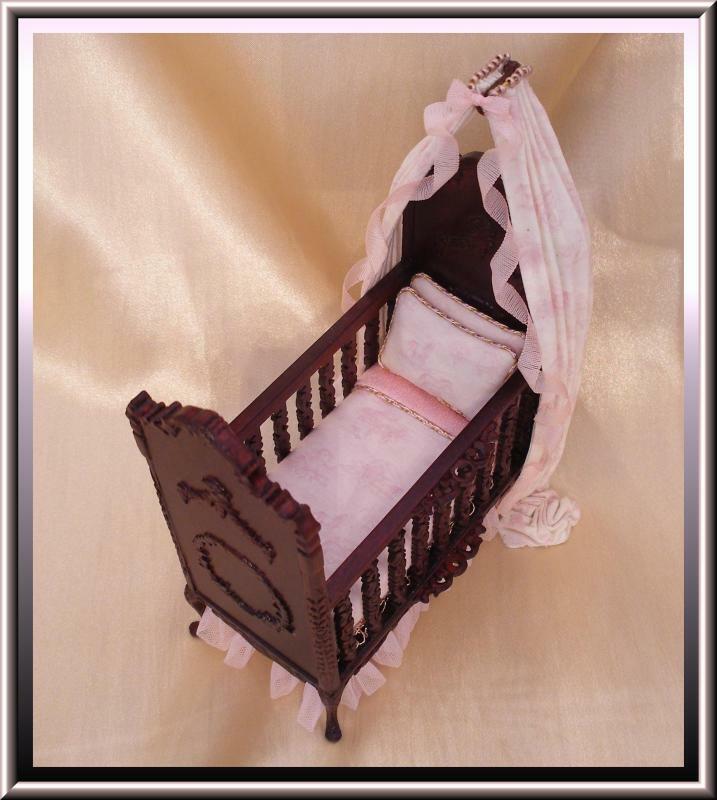 The carved crib manufactured by Bespaq was custom dressed in cotton horsey toile in pink and white. 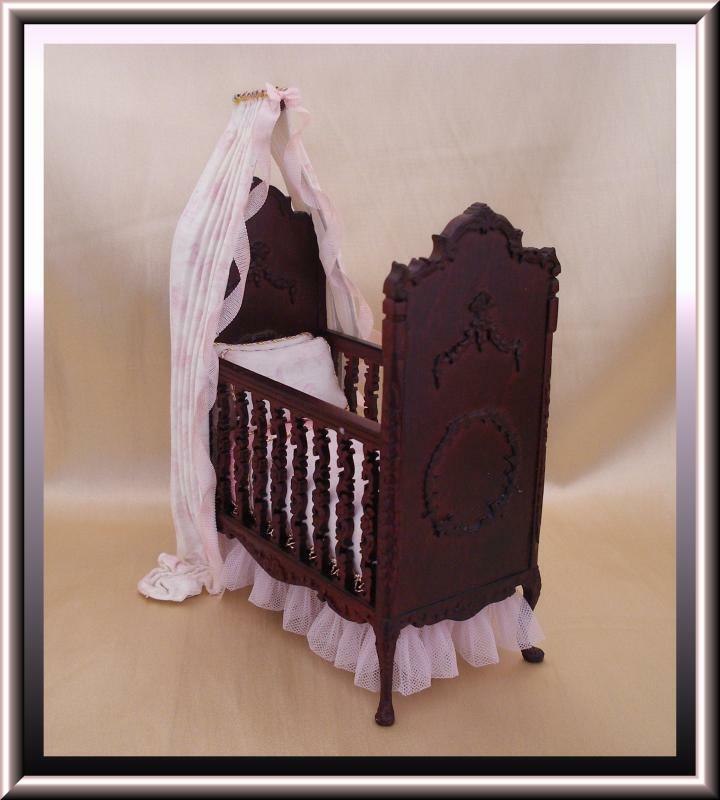 The crib clothes also included pink satin, white silk, pink tulle and finished in a pink silk bow for drama. 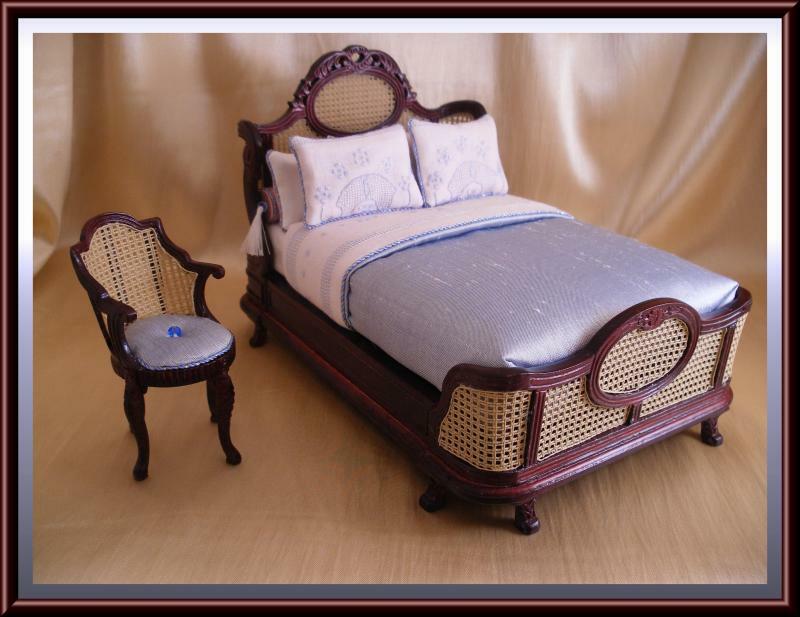 This new creation was designed by Wilson for Susan Gergans of Georgia. 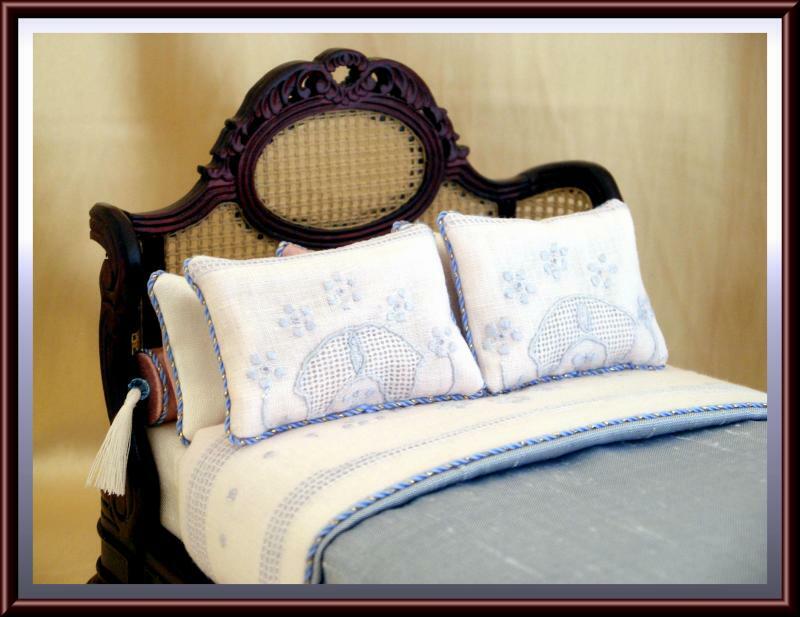 Features light pink and blue insert lace linens. The comforter is sky blue Dupioni Silk. Coordinating accents of Rose Satin and white silks were also used. Matching vanity stool was reupholstered to match.